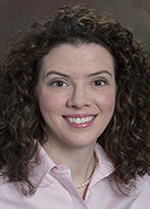 Dr. Fleming is a radiologist specializing in breast imaging, with training in various breast imaging modalities (mammography, tomosynthesis, ultrasound, and MRI) and image-guided procedures. She serves on several national committees and is actively involved with the American College of Radiology (ACR). As a resident, she was selected for the ACR¿s Moorefield Fellowship in Economics and Health Policy. Prior to her career in medicine, Dr. Fleming worked in investment banking, finance, and real estate. She earned her medical degree from Keck School of Medicine of the University of Southern California. 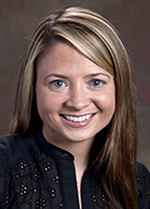 She completed an internship at the Virginia Mason Medical Center in Seattle, WA, followed by a diagnostic radiology residency and a fellowship in breast imaging at Emory. She also holds an MSc from the London School of Economics and Political Science in London, United Kingdom. Dr. Gill is a pediatric interventional radiologist who routinely performs procedures for post-transplant complications, vascular malformations, visceral organ biopsies, osteoid osteomas, renal artery stenosis, deep venous thrombosis, and central venous access for pediatric patients. Her research includes the use of intravascular ultrasound in the pediatric population and the application of cryoablation in children. She also serves as the faculty advisor for a new medical student elective in pediatric IR. She earned her medical degree from the University of Tennessee Health Sciences Center, Memphis, Tennessee. 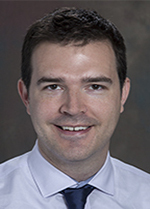 Dr. Hoch is an academic neuroradiologist with clinical expertise in functional MRI (fMRI) and Diffusion Tensor Imaging (DTI) for neurosurgical planning. 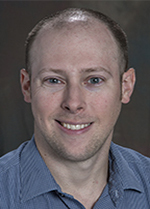 His primary research concentration is utilizing emerging MRI techniques to quantify changes in the brain during the early or pre-clinical stages of movement disorders. He earned his medical degree from Lewis Katz School of Medicine at Temple University, Philadelphia, PA. He completed an internship at St. Luke¿s University Hospital, Bethlehem, PA; a diagnostic radiology residency at Temple University Hospital, Philadelphia, PA; and a fellowships in neuroradiology and in translational research at New York University Langone Medical Center, New York, NY. 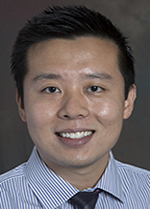 Dr. Hu is a neuroradiologist interested in applying advanced imaging techniques to diagnose and treat complex neurological disorders. He earned his medical degree through the Harvard-MIT Health Sciences and Technology (HST) Program at Harvard Medical School. He completed his diagnostic radiology residency and a neuroradiology fellowship at Massachusetts General Hospital. Dr. Rostad is a clinical pediatric radiologist. His interests include musculoskeletal imaging, practice quality improvement, and development of educational applications for mobile devices. He earned his medical degree from Emory University School of Medicine He also completed his internship, diagnostic radiology residency, and pediatric radiology fellowship training at Emory. Dr. Weinberg is a physician scientist specializing in neuroradiology. Dr. Weinberg¿s major clinical interest is imaging of the brain and spine, particularly imaging of tumors and degenerative disorders. 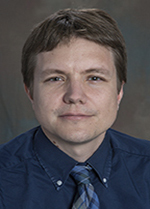 His research endeavors include improving imaging of brain tumors, and developing and clinically applying minimally invasive therapies, including image-guided treatment of pain and malignancies. Additional areas of interest include medical education and reduction of medical errors in the health-care system. He earned both an MD and a PhD in biomedical engineering at Case Western Reserve University in Cleveland, OH. He completed a diagnostic radiology residency at University of Texas-Southwestern, Dallas, Texas and a neuroradiology fellowship at University of California-San Francisco, San Francisco, California.